Mark Through Old Testament Eyes is the inaugural volume of the new “Through Old Testament Eyes” Background and Application Commentary series from Kregel Academic. Andrew Le Peau is the series editor and author of this volume. The commentary examines ways Mark utilized imagery, allusions and his literary structure to illuminate aspects and themes drawn from the Hebrew Bible, the Christian Old Testament. 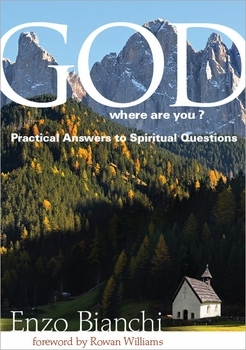 Le Peau was a longtime associate publisher for editorial at InterVarsity Press and author of several of IVP’s LifeGuide Bible Studies, co-author of Heart, Soul, Mind, Strength: An Anecdotal History of InterVarsity Press, 1947-2007. He is currently an editor and writer living in the Chicago area. a verse-by-verse or paragraph-by-paragraph running commentary on the text of Mark, discussing Old Testament background, the text as a whole and questions that may arise from the text. periodic ‘Through Old Testament Eyes’ summaries which give a bigger picture of how Mark makes use of Old Testament themes and motifs. sections on ‘what the structure means’ that discuss the context, literary structure, and imagery. ‘Going Deeper’ sections that unpack the implications of Mark’s gospel for how we ought to live(10, these features will be consistent throughout the series). Le Peau explores the links between Jesus in Mark’s Gospel and the Exodus, Moses, the Jewish Temple, and Israel’s Messianic hopes and the various ways Christ recapitulated Jewish symbols and practices around himself. As this is a “Background commentary,” it doesn’t address every question in the text. Le Peau doesn’t explore in-depth links between Mark and the other Synoptics, John or the later New Testament. Yet, because Mark (and other New Testament writers) built on and inhabited the Old Testament thought-world, the focus of this commentary (and series) illuminates the text well. Several features of this commentary resonate with me personally. First, I was a student leader in InterVarsity Christian Fellowship when I was in college. There I learned to study the gospels in the context of investigative Bible studies and manuscript studies. Manuscript studies involved examining books of the Bible with the paragraphs and verse markings taken out. In the context of community, we would examine the passage, look for structural breaks, figures of speech, repeated words, phrases and themes, and contrasting elements in the text. Paul Byer was an InterVarsity staff member who pioneered the “Manuscript” study on Mark in the 1950s, Le Peau has taught Mark through manuscript studies with InterVarsity for the past fifteen years. When I read the ‘what does the structure mean’ sections of this commentary, I felt like I was on the similar ground to the ways I’ve been taught to engage the text fruitfully. Secondly, the approach of looking to the Old Testament in order to properly understand the allusions, images, and intent of the New Testament, is very much the approach taken in my training in biblical studies. Rick Watts, who wrote Isaiah’s New Exodus in Mark (Baker Academic, 1997) and the Mark section of the Commentary on the New Testament Use of the Old Testament (Baker Academic, 2007), provides the general outline and themes Mark’s New Exodus which Le Peau follows (329, n. 11). Watts was my New Testament professor in seminary. So once again I feel I was on the similar ground. Third, this book is just interestingly written. Le Peau introduction begins with an explorations of the way the Toy Story trilogy pays homage to Star Wars in allusions, references, and characters, and how Star Wars itself alludes to earlier films and history (12-16) This ‘family film criticism’ gives Le Peau a way to talk about Mark’s use of Old Testament themes: Exodus and Isaiah. The commentary itself doesn’t have these kinds of pop-cultural references, but several of the ‘going deeper’ sections relate stories from church history, contemporary Christians, case studies and Le Peau’s own life. It makes this an interesting read for a commentary, which readers of commentaries everywhere understand, that is no small thing. This is not a technical commentary and Le Peau stays away from linguistic and biblical studies jargon. When he does use technical terms (e.g. chiasm) these are clearly defined and described, so that non-scholars can understand, and Le Peau perfers a more accessible term (such as sandwiching) to technical terms (such as ‘inclusio’)(20). Le Peau does not include long streams of Greek syntax or highly technical, text-critical debates. So, for example, in his discussion of Mark’s structure and the longer ending of Mark (16:9-20), he bases his conclusions on a close reading of the text— where it differs in content, style, and use of the Old Testament, from the rest of Mark’s gospel (300). He does not cite evidence from the Church Fathers or ancient manuscripts. Le Peau also notes some of the political tensions in Mark. Mark’s Jesus is in direct conflict with Satan and his demons, but underlying the spiritual conflict is also Jesus’ opposition to the structures and institutions of his day. For example, his comments on Jesus’ first miracle, casting out a demon in a Capernaum synagogue (Mark 1:21-28), Le Peau comments, “What, we may well ask, is an evil spirit is[sic] doing in the synagogue in the first place? This suggests that the established religion of the Jews has become corrupted, setting the stage for the further tensions between Jesus and the Jewish leaders we will see in Mark” (47). Elsewhere, he notes how ‘the nearness of Kingdom of God’ implies a move beyond ‘personal salvation’ toward the corporate care of the poor and oppressed (40-41). I did feel at times, he could have explored the political/social implications a little more than he did, but I was glad to see, he was cognizant of these dimensions to Mark. Notice of material connection: I received a copy of this book from Kregel Academic in exchange for my honest review. The Old Testament is Scripture, but not easy reading. It is full of disturbing passages, strange laws and unsavory characters. Anyone who would dare take up and read will be faced with questions, interpretive challenges and hard texts. Matthew Richard Schlimm has written an entertaining and informative book exploring the difficult questions and how to read the Old Testament well. 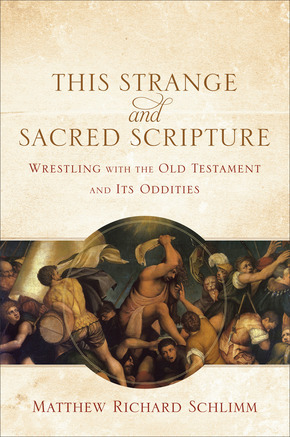 This Strange and Sacred Scripture: Wrestling with the Old Testament and Its Oddities is basically a undergrad level exploration of the First Testament. It was as fun to read as David Lamb’s God Behaving Badly, though far more comprehensive. Schlimm doesn’t cover the wisdom literature or prophets much, but he does a good job of exploring law, narrative and various themes that run through the Hebrew Bible. His purpose is not to make the Old Testament simple for us to digest, but to help us grapple with it in a more substantial way. As we read Numbers, we shouldn’t expect to feel uplifted. We shouldn’t look for inspiration. Instead, we should expect to feel like the Israelites did out in that desert wasteland. Ironically, you’re reading Numbers well if you’re sick of the characters and want to stop reading. You are reading well because in that moment you begin to understand in new ways what things were like for the Israelites and for God. Through the trials of reading Numbers, we can emerge as better people. Someone might rattle off a cliche like “Count your blessings.” Or we might admit, when we stop and think about it, that complaining is not a great way to go through life. However, many of us need something more to put our grumbling aside. Chapter five explores the violence in Old Testament texts, such as the imprecatory psalms and Joshua and Deuteronomy. Schlimm addresses several faulty premises that Christians bring to interpreting these texts: (1) that we should imitate Bible characters’ actions, (2) that we should imitate God, (3) that we should apply every text to our individual life, (4) that we should read individual passages in isolation from one another, and (5) that we should have an answer for every question raised by disturbing texts. Against these, Schlimm invites us to a way of interpreting passages that is humble, communal and dialogical. Chapter six tackles gender and the role of women. Schlimm admits that the Old Testament is androcentric and sometimes misogynist; however he refuses to give up the sacredness gender or the sacredness of the Bible. He reads egalitarian texts like Genesis 1:26-27 in tension with texts like Leviticus 27:1-8 where women are valued as less than men. Far from ignoring these texts, he grapples with the contradiction and asks God why a text like Lev 27:1-8 is in Bible. Schlimm goes on to explores the nature of Biblical law (chapters seven and eight), the multifaceted nature of truth (chapter nine), sadness and anger of God expressed in the Old Testament (chapter ten), God’s wrath (chapter eleven) and the authority of the Hebrew Bible (chapter twelve). I thoroughly enjoyed this book. Schlimm imparts his love for the Old Testament. His prose is winsome. He doesn’t provide i easy answers on how to sort through genres, horrifying tales and difficulties. Instead he invites us to a conversation with the Old Testament where we name the exclusion of Ezra, place it conversation with the inclusion of Ruth (and the apostle Paul). Schlimm isn’t bothered by contradictions and the sometimes disparate witness of the Old Testament. For him it is bringing these texts into deep conversation and wrestling with them that we begin to see the truth about God and ourselves. Rather than avoiding strange and difficult texts, Schlimm posits that the texts that are most difficult for us, may be the texts that we most need to hear. If you find the Old Testament difficult and are not always sure what to do with certain passages, this will be a good book for you. Of course by focusing on oddities and interpretive difficulties, Schlimm doesn’t spend as much space exploring covenant, mercy, and justice as he may otherwise. This would be a lopsided introduction to the Old Testament if read as a stand alone treatment, but for those who have read and struggle, this is pretty great. I give it four stars. One of my favorite books of the Old Testament is Samuel. Samuel tells the story of Israel’s movement from the time of the judges to a monarchy (first Saul and then the Davidic monarchy). Far from being an apologetic for David, the author of Samuel reveals Israel’s greatest king to be a man with feet of clay. My love of the book of Samuel was perhaps birthed by Sunday School tales of David when I was a ruddy wee lad; however seminary allowed me to dig deeper in the text. I never had a formal class on Samuel but the professor who taught me biblical Hebrew and Exegesis had a Ph.D. from Cambridge where he wrote a dissertation on Samuel. The stories of Samuel, Saul and David were full of illustrative material and he drew on this book a lot. These pages taught me how to read the Bible well and I am grateful for it. 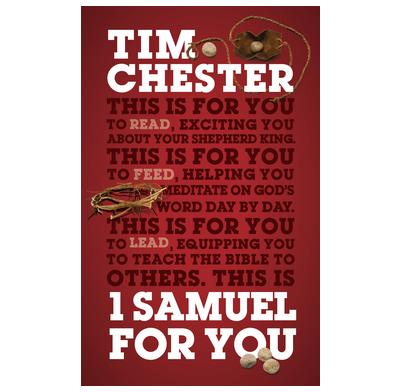 1 Samuel For You is the third commentary in the ‘For You’ series from the Good Book Company. It is the second commentary I’ve read from Tim Chester, pastor at the Crowded House in Sheffield, UK. So far this is my favorite of the lot. This may be because of my peculiar love of Samuel, but I think Chester delivers the goods here! This is a commentary which is sensitive to the historical and literary context, places Samuel in a canonical/theological frame and presents the narrative in an accessible and winsome way. This is what you want from a popular level commentary. I was pleased that in a number of places Chester picks up on the Hebrew wordplay (i.e. sa’al ‘ask’ in Hanna’s prayer in 1:20 is similar to the name Saul whom God will give to those who ask for a king; Eli collapsing under his own weight as the Glory (weight) departs from Israel in chapter 4; The wine–nebel–runs out of Nabal when he hears of the disaster his wife prevented in 25:37; etc.) These examples reveal some of the literary sophistication in Samuel. Chester does not delve exhaustively into every example of Hebrew wordplay, but often popular level commentaries do not explore it at all. So well done here! Chester understands the genre of Samuel as ‘preached history.’ This is a historical treatment but it is also exhortative. Chester’s comments come in two parts for each passage. The first part looks closely at the text. The second part builds a bridge between the passage and the wider canonical context. Thus he draws the link between the historical David, and the ‘Son of David.’ The former was a christ–‘an annointed one.’ One of David’s descendants is the Christ–Jesus our Messiah. Chester does a good job of drawing connections in the text. If you do not spend much time in the Old Testament this commentary will help you enter into the Hebrew Bible a little deeper. This is not an exhaustive commentary (not every verse or passage is covered), but it does represent a cogent and helpful approach to this book of the Bible. I highly recommend this for personal or group study. I give it five stars. Notice of Material Connection: I received this book from the Good Book Company via Cross Focused Reviews in exchange for my honest review. While the 20th Century is the bloodiest century in human history, warfare was a reality for ancient peoples. The Bible deals with reality so, it is no surprise that when you look at the Hebrew scriptures you find battles and warfare enshrined in the text. Boyd Seevers, professor of Old Testament Studies at the University of Northwestern St. Paul, did his doctoral studies on warfare in the Ancient Near East. In Warfare in the Old Testament, Seevers examines Israel and five Ancient Near East cultures to show how each waged war. He looks at their military organization, weapons, strategy and tactics. Israel’s had five major enemies through out nationhood, destruction and exile. These include Egypt, Philistia, Assyria, Babylon and Persia. Of course there were other nations which troubled Israel, but these nations were particularly troublesome in different eras of their history. Egypt was the large empire to the West where the Israelites had escaped from. They continued to exert influence throughout the region. The Seafaring Philistines were a thorn in the side of Israel during the period of the Judges and early monarchy. The cruel Assyrians destroyed the northern Kingdom of Israel and turned Judah into a vassal state and laid siege to Jerusalem. Babylon sacked Judah and carried its inhabitants into exile with the spoils of war. And the Persians and the Medes overthrew the Babylonian empire. Seevers illustrates the unique features of each culture by beginning each section with a ‘historic fiction’ which describes particular battles from the perspective of one of its military commanders. He then goes on to catalog the organization, weapons and tactics of each nation. This makes this a perfect book for tooling around in the background of the text. Those who study and research the Bible will find Seevers synthesis and summary of Ancient Near East warfare helpful– both academics and pastors working to exegete the text well. This book is exegetical, not expositional. Seevers focuses on describing the tactics of Ancient warfare and thus does not comment on the the theological significance of particular passages of scripture. So when Seevers presents ‘spying’ as an Israeli tactic in warfare (70), he does not comment on the ambiguity of Joshua sending spies in Joshua 2 after God spent the previous chapter commanding him, “Be strong and courageous.” This is not a criticism, but it does illustrate what this book was intended to do: to fill out the cultural background of warfare, especially where the Bible is economic and sparse in its description. This is a great resource for teaching from the Old Testament. Because it spans the whole of Israel’s national, military history, it does illuminate the arc and trajectory of the biblical narrative and describes some technological developments. The illustrations in each chapter (based on archeological discoveries) show how weaponry, armor and military structure changed over the centuries. I recommend it as a Bible background resource for those exegeting the historical books and the prophets. I give it four stars: ★★★★. A couple months back, my pastor was preaching through a series on the Joseph narratives in Genesis 37-50. So when I saw a new book by Voddie Baucham exploring the life of Joseph in a Christological key I thought it would be an interesting supplement to this sermon series. Unfortunately I didn’t get my copy of Joseph and the Gospel of Many Colors until well after the series wrapped up, but reading this particular book before Christmas was also apt. 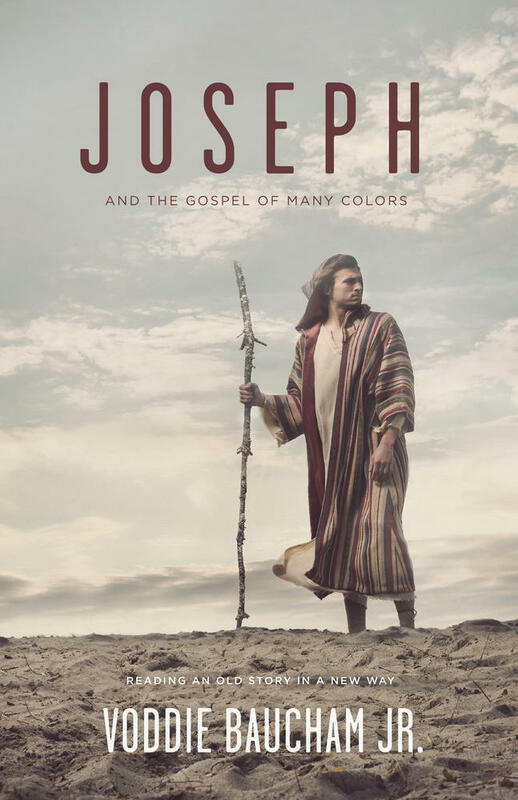 Baucham avoids many of the common pitfalls of interpreting Joseph. He does not mine the story for life lessons. He does not read it as a morality tale. Nor does he present Joseph’s struggles as an example of how we can secure God’s blessing from our own faithfulness. Baucham places Joseph within God’s redemptive history. While Joseph was used by God to save his family from famine, he also preserved God’s covenant with Abraham and paved the way for Jesus’ coming (through the line of Joseph’s brother Judah). Baucham’s hermeneutic calls into question a bald literal-historical reading of scripture which says that the passage can only mean what it meant in its original context, for its original recipients. Instead he takes a theological-canonical approach to the Joseph narrative, drawing inspiration from how New Testament authors have read the Old Testament. This doesn’t mean he allegorizes and finds types of Christ everywhere within Genesis, though he does want us to recognize when they are there. His entire project is to read the Old Testament in light of Christ. Generally I found Baucham’s exegesis insightful and interesting. As a pastor-theologian, Baucham’s insights come from his own study of Joseph as he preached and taught through the text. I found myself in general agreement with his take. I was pleased that he picked up on the contradictions and growth in Judah and didn’t solely focus on Judah. This is not a full length commentary, but it has a lot of details for a short book. My one small critique is that I think that Joseph’s story should be read for its moral implications as well. If he just looked at the Old Testament for life lessons and morality he would have missed the point, but that is there too. I agree with Baucham that the gospel of Christ is the key for a proper Christian understanding of the Hebrew Bible; yet sometimes in our zeal to avoid moralism we fail to grasp the moral implications of biblical narrative. We are invited to imitate the good and avoid the bad. Other writers who share Baucham’s Calvinist, Reformed perspective and general theological framework see the moral and ethical implications of Hebrew narrative, notably Gordon Wenham and Jason Hood. Baucham is right to lay emphasis on the gospel, but we can also learn from Joseph’s perseverance and tenacity without baptizing everything he says and does. This isn’t the main point of the passage, but it is still important.